The notion of a state-backed savings plan for private-sector workers has been kicking around for a few years. But according to Connolly, Torsella will be pushing the proposal in “a bigger way” and attempting to garner more advocates and broaden discussions on the topic to create awareness. The proposed program will push employers including small-business owners to offer an auto IRA retirement plan that would feature automated payroll deductions. The program addresses the need for better retirement options for employees while allowing the state to manage the plan. The payroll deduction amount can vary but would likely start at a 3 percent deduction. What are the options? More often than not, small-business owners do not have the time or resources to offer their employees the kind of retirement options that large employers can offer their workforce. A 401(k) plan is usually not an option for most employees at small companies. But there are other options, according to retirement advisers. A SIMPLE IRA or a simplified employee pension is one of the best retirement plans for small business owners and sole proprietors. SIMPLE is an acronym for savings incentive match plan for employees. “It takes much less time to administer the SIMPLE IRA,” said Deb Lander, retirement advisor and planner at RKL Wealth Management’s York and Wyomissing offices. According to Lander, an employer with a SIMPLE IRA is required to contribute each year either a matching contribution up to 3 percent of compensation or a 2 percent nonelective contribution for each eligible employee. This means that if an employee is eligible and does not contribute to his or her SIMPLE IRA, the employee must still receive an employer contribution to his or her IRA equal to 2 percent of compensation. RKL has an office in South Whitehall Township. Financial planner Paul Marrella at Marrella Financial Group LLC in Wyomissing said SIMPLE IRAs are a good fit for small employers, but he also recommends that very small businesses consider a simplified employee pension plan. This type of pension plan is suited for the sole business owner with just one employee or no employees. “They can put roughly 20 percent of their earnings away. Whatever the employer puts away for himself, though, he has to also put away for his employee,” Marrella said, adding that there is a tax deduction for contributions made to an employee pension plan. Connolly said that an independent analysis found that 2.1 million Pennsylvanians do not have a retirement plan such as a 401(k) or pension available to them through their employers. About $14.3 billion in state money will go to retirement spending. “We know that there are a lot of elderly people at poverty level that do not have the necessary financial resources,” Connolly said.Retirement advisers and planners recognize that the situation is dire for many Americans who do not save adequately for retirement. They noted that Torsella’s plan is designed to target small businesses that do not offer retirement plans to employees. The concept of offering private-sector employees a retirement savings plan is necessary but problematic. Paul Marrella, certified financial planner at Marrella Financial Group LLC in Wyomissing, said he is not up-to-date with the proposed legislation but noted that employees might balk at a program that required them to act. “What small employers absolutely 100 percent believe is that employees must save for retirement, but you cannot tell people what to do with their money. Who would vote against people saving for retirement? But employees feel like, ‘Why should you have a say with what I do with my paycheck?’” he said. In Bethlehem, Christopher Lakatosh is a principal and senior consultant and director of retirement plans at Cornerstone Advisors Asset Management LLC. He said that the retirement outlook is bleak. He said that retirement plans for small employers are limited and cost-prohibitive. 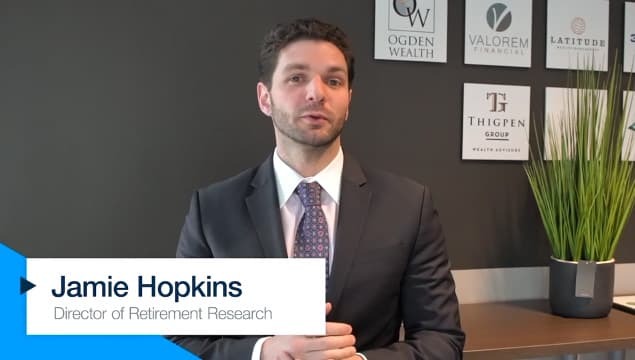 There are costs to administering a retirement plan, IRS filings, testing requirements, funding requirements and other challenges and considerations. This is why many small employers fail to establish retirement options for their employees. For their part, employees know they should save and prepare for the future, but they get caught up in the details. They tend to question what retirement plan they should pick, what company or professional to go to in order to set up retirement planning. “Having automatic features and savings coming directly from our pay, before we see the debit from our bank account or paycheck in our hand, have been proven to be highly successful in building retirement savings momentum,” Lakatosh said. At the State Treasurer’s office, Connolly said that even if proposed legislation gains enough support to be passed, employees can still decline having the payroll deduction taken out of their paycheck. “This is the employee’s plan. If they really need every dollar they make, and they cannot have that 3 percent taken out of their paycheck, they can opt out of the plan,” Connolly said.View the full article from the Central Penn Business Journal at http://www.cpbj.com/article/20190110/CPBJ01/190119995/state-treasurer-to-push-plan-for-privatesector-retirement-saving. Copyright 2019 BridgeTower Media. All Rights Reserved.